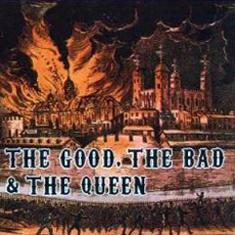 EMI has beat Apple to the punch, releasing The Good, The Bad & The Queen, an album by Gorillaz’ Damon Albarn’s latest supergroup as a DRM-free download. It’s the first EMI album to be offered for legal download in mp3 format, free of copy protection. For the first time, downloads by EMI artists purchased from any online music store will be playable on any digital music player, including iPods, with no technical restrictions on their use. Green Fields, the latest single, and the full album, priced ¬£7.99, are now available to download direct from the www.thegoodthebadandthequeen.com.